Without batting an eye, Albright responded: “we think the price is worth it.” In other words, Albright was willing to damn everything, including sending children into a hellish existence in Iraq, in order to accomplish her diabolical plan. Practical reason in the political realm here is of no use because it does not support Albright’s perversion. There is more: “Albright wrote later that Saddam Hussein, not the sanctions, was to blame.” When Albright realized that her own satanic weltanschauung wouldn’t be supported by any rational person, she later declared: “I had fallen into a trap and said something I did not mean.” Fallen into a trap? A reasonable question which demands a reasonable answer is a trap? You see, since practical reason is against irrational ideas, and since Albright was obviously siding with immoral behavior, she had to say that she fell into a trap. So, killing at least 500,000 children is a good thing; promoting Zionist expansionism all over the world, including in distant places like China, is great. But attacking ISIS in Syria is really evil. What kind of world is this woman living in? Shouldn’t she start getting her head examined? 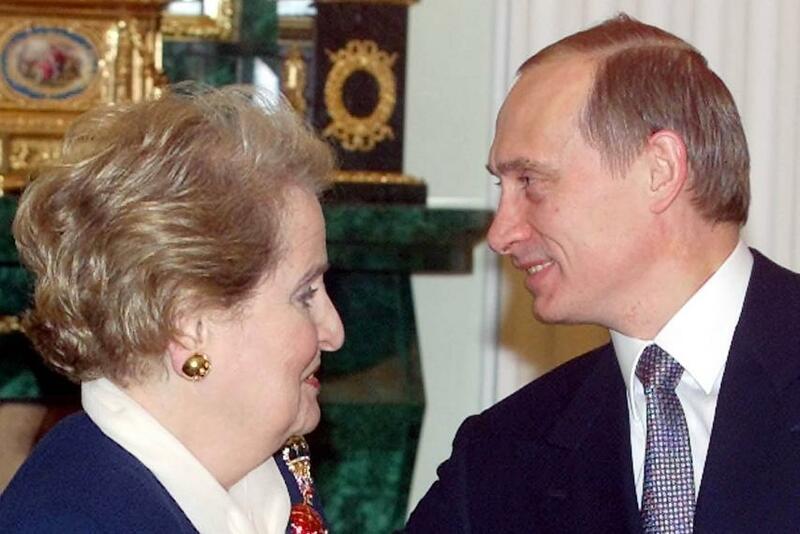 Quoted in Damien Sharkov, “Putin Is a ‘Smart But Truly Evil Man,’ Says Madeleine Albright,” Newsweek, April 20, 2016. John Pilger, “Squeezed to death,” Guardian, March 4, 2000. For a recent development, see “Pentagon to Deploy Fleet of Underwater Robots in South China Sea,” Sputnik News, April 4, 2016.